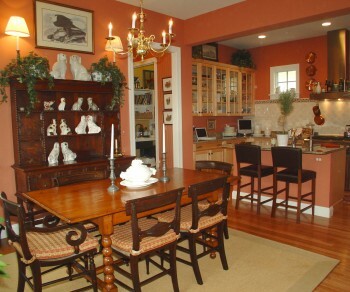 This home in Warwick Grove was blessed with high ceilings, wonderful wood floors and a fantastic floor plan. The living room was open to both the dining area and the kitchen. 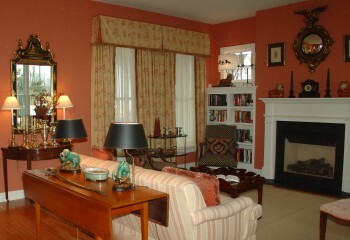 We painted the walls in Farrow & Ball’s Red Earth, a warm, inviting red. The windows were treated with sheer linen curtains and a documentary print by Greeff called Calico Bird, for side panels and valances. The dining room chair pads were covered in a carmel and red check. The sofa was upholstered in a natural linen/cotton with a fine red stripe by Lee Jofa. 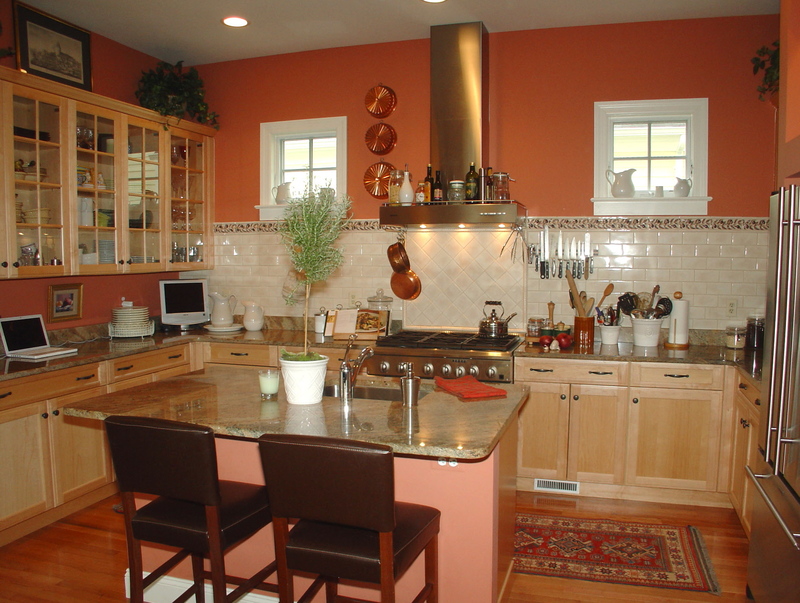 In the kitchen we choose a Miele Hood in stainless steel that had the look of a modern sculpture. 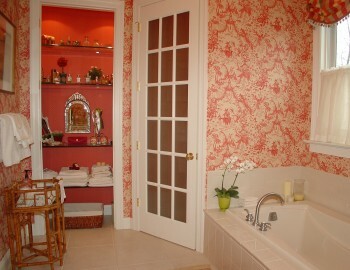 The master bathroom was papered in a Nina Campbell print. 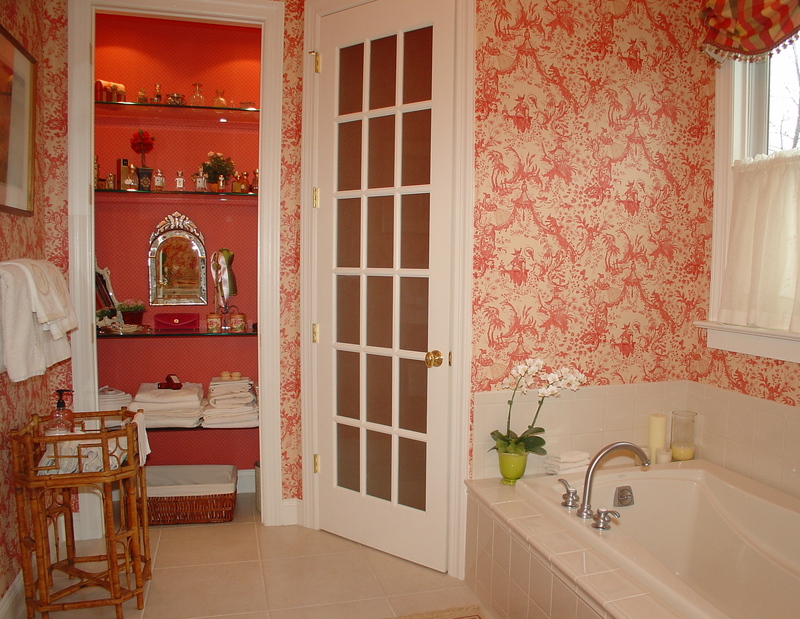 There was more than ample closet space in the double walk-in closets, so we were able to turn the bathroom closet into a display area with glass shelves and a fabulous Venetian mirror.